THE DIRECTOR , ST. STEPHENS HOSPITAL, NEW DELHI V/s. ONKAR MAL & Ors. F.A. no. 542/2007, decided on 17/02/2016 by the National Consumer Commission. 1. After the investigations, The Deceased – Original Complainant was advised by the Cardiologist for CMV (Closed Mitral Valvotomy) be performed, i.e., open mitral valve without opening the heart, as this procedure would be more effective and less expensive. 2. However, instead of carrying out CMV the cardio-specialist of hospital resorted to open heart surgery and without repairing the mitral valve, and according to complainant he just did a valvotomy which could have been done without opening the heart and repaired mild TR without repairing the mitral valve. When the patient went to her native place at Rajasthan, again she developed some problems and she was advised 2nd heart surgery, which was beyond her monetary means. The complainant also alleged that the closed mitral valvotomy instead of open mitral valvotomy should have been performed upon her. 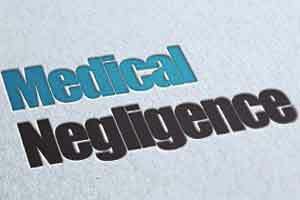 Hence the Complaint for Negligence. 3 . The Hospital refuted the allegations. It was contended by the hospital that, the best Surgeon of India, who has performed more than 6000 surgeries, Dr. James Thomas also found that the mitral valve was competent and did not require any repair, however, the Tricuspid valve required repair which was done. When the Complainant again came to hospital, it was diagnosed mitral incompetence & patient was advised for valve replacement. It was contended that the patient again required surgery because of mitral incompetence which was not because of any negligence in the operation performed upon her but was a manifestation of a known risk of said operation. it was also recorded in operative notes. In the present case open valvotomy had to be resorted to since the tricuspid valve had to be repaired which could not have been done without resorting to open valvotomy. 4. The Respondent did not appear in the Appeal and hence it was decided ex-parte. The National commission observed that there was no deficiency on the part of OP in conducting first surgery which was acceptable to the medical profession and state of affairs of the complainant. 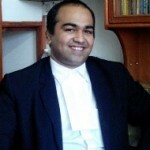 It also dismissed the order of State Commission of awarding Compensation of Rs.50,000/- on the ground that there was lapse on the part of surgeon not to repair mitral valve to avoid further surgery and Rs.90,000/- for 2nd unwanted surgery which could have been avoided had the mitral valve so competent as recorded by the doctor in operation notes and had there been no need to repair the same. The view is no more res-integra that as observed by Hon. apex Court that , So long as a doctor follows a practice acceptable to the medical profession of that day, he cannot be held liable for negligence merely because a better alternative course or method of treatment was also available or simply because a more skilled doctor would not have chosen to follow or resort to that practice or procedure which the accused followed. one more thing, had the surgeon forgot to mention about the competency of mitral Valve, he would have been held guilty for compensation. So always remember NO DOCUMENTATION NO PROOF : POOR DOCUMENTATION POOR PROOF.